According to Cisco Statistics, by 2020, 75% of mobile traffic will be video-based. Which means if you really want to strengthen the brand of your event, look to YouTube to help you reach a global audience and attract more followers. Still not convinced? Let’s take a quick look at some examples. The World Science Festival is an event run by the World Science Foundation, a nonprofit organization from New York. The event was launched in 2008 and is celebrated annually, with the end goal to inform the general public about new scientific discoveries and implications for the future of humanity. The World Science Festival’s YouTube channel is updated regularly with videos from the events (round-tables, keynote speakers, debates) and it has over 310,000 subscribers. Some of their videos have more than 1 million views. The World Economic Forum, on the other hand, is an international organization committed to improving the state of the world through public-private cooperation. Best known for its annual meeting in Davos, Switzerland, the World Economic Forum has a successful YouTube channel, with more than 219,000 subscribers and with videos from the event that have more than a few hundreds of thousands of views. Finally, there is the example of The Next Web, the world’s largest online publication on internet technology, business, and culture. Held in Amsterdam, The Next Web’s annual event gathers important industry experts and influencers. Its YouTube channel has over 29,000 subscribers. These are three distinct brands and three different events with a massive YouTube following. They managed to considerably increase brand awareness and expand their tribe of followers. Want to follow their example? According to famous SEO expert Brian Dean, it’s important to improve what your YouTube channel looks like: “Your channel page is the homepage of your YouTube channel. Like the homepage of your website, it’s the most important page to optimize.” Your event YouTube page must differentiate itself through a powerful branding strategy. Although it might seem trivial, it’s crucial to work on things such as your page’s About section and the featured and thumbnail images. Everything must be well-aligned with your brand’s identity and easily recognizable. Even if your content will appear in the “Recommended” section, people need to identify (by the thumbnail image, for example) that video with your brand. You can’t just start uploading all the videos you have, all at once. That won’t work. You need a specific video content strategy. First, you must start with your KPIs. What do you want to achieve? How do you want to strengthen the brand of your event? Do you want to attract more followers? What’s the exact number of the new subscribers you’d like to have? Do you want to produce viral videos and get tones of visualization? Depending on the KPIs you’ll be measuring, you should design and follow a laser-like video content strategy. You’ll need to decide how often to publish videos, what video length works best for your potential attendees, what type of video content you’ll produce (event videos, interviews, documentaries, sketches, etc.). Apart from that, you’ll need to figure out who will edit the videos and write the script. Once you’ve figured out all the details, you can start creating and uploading your content. One of Brian Dean’s strategies is to build specific playlists for his videos, so his viewers can watch a bunch of videos in one sitting. These playlists must be organized in a way that viewers (aka attendees and followers) can identify one outcome they’ll get from watching the videos. That’s why you should avoid sorting videos randomly. Instead, make sure your playlists follow a certain logic and present a specific promise of objectives (what your viewers will get out of watching your videos). Regardless of your video content strategy, it’s important to keep your YouTube channel up to date. You won’t achieve your goals by just publishing a bunch of videos from the event and activating your channel during the next edition of your event. You must keep your content fresh. You also have to grab and maintain your viewers’ (who, keep in mind, are potential attendees) attention by presenting other types of content, like interviews, sketches, how-to videos, etc. Having a YouTube channel isn’t enough to attract new viewers and followers. To build a fan or potential client base, you must set up a marketing plan, meaning you’ll have to increase the likelihood that people will find your channel. To make this happen, you can produce a series of collaboration videos with other YouTubers, or use social media or your blog (if you already have a large number of visitors and readership) as a marketing tool. 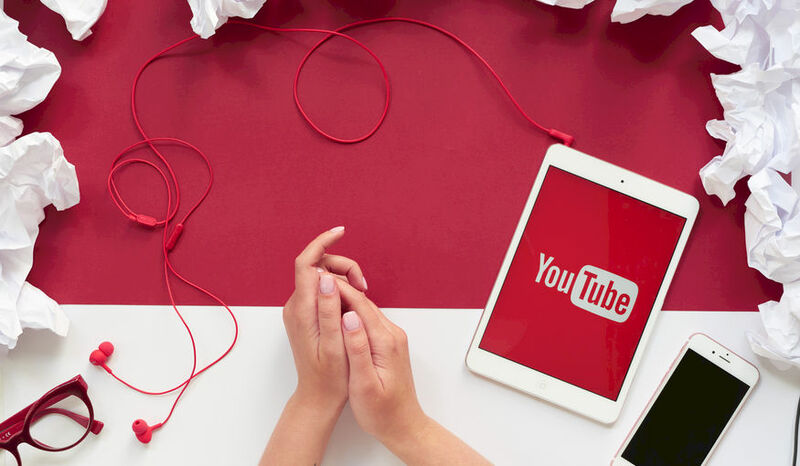 If you really want to extend the outreach of your event, get more people interested in what you are doing, and strengthen the position of your brand as an industry leader, YouTube is the way to go. Although a YouTube channel is definitely not easy to build or maintain, you’ll reap numerous benefits and level up your event’s brand identity. Are you ready to give it a try? Having a great YouTube strategy is very key to success, great point. I find that staying consistent with that strategy is also key to ensuring the customer base can anticipate the brands engagement. Having consistent engagement also helps with the building of community. Great post!